NEW YORK — The Justice Department is seeking criminal charges against Lumber Liquidators in an ongoing investigation over imported products. The company revealed the Justice Department push in a regulatory filing Wednesday while also posting a surprise loss for the quarter and announcing the departure of its chief financial officer. Its shares plunged more than 17 percent in early trading. The CBS news show “60 Minutes” reported in March that the company’s laminate flooring made in China contained high levels of formaldehyde, a carcinogen. 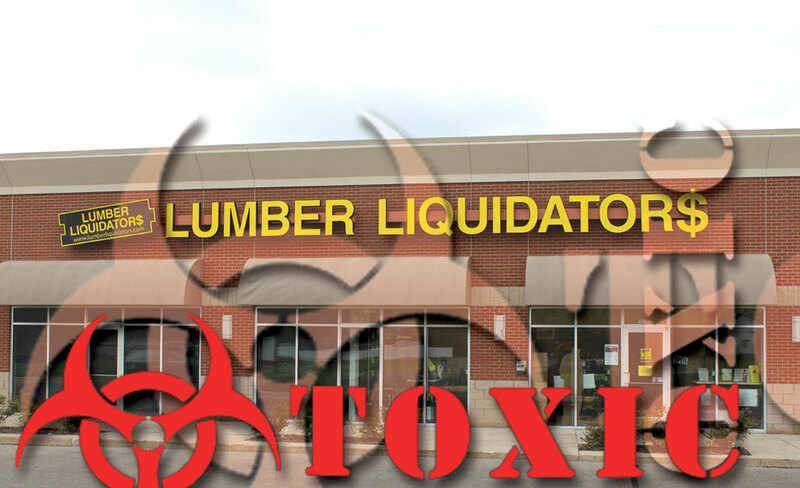 Lumber Liquidators Holdings Inc. has said that it complies with applicable regulations for its products, including California standards for formaldehyde emissions. The company said Wednesday that its March sales declined 12.8 percent due to the allegations and that it had spent $2.3 million on an air-quality assurance program it put into place for customers to calm fears about the flooring. CEO Robert Lynch said during a conference call that Lumber Liquidators has stopped buying Chinese laminate flooring for now, using instead products from parts of Europe and North America. According to a regulatory filing, the Justice Department is seeking charges under the Lacey Act which, among other things, bans illegally sourced wood products. The best estimate of the probable loss that may result from the Justice Department action is about $10 million, the company said. There are more than 100 pending class-action lawsuits related to the flooring from China, the company said. For the period ended March 31, the company lost $7.8 million, or 29 cents per share. That compares with a profit of $13.7 million, or 49 cents per share, a year earlier. The loss caught industry analysts off guard. They had projected a profit of 15 cents per share, according to a survey by Zacks Investment Research. CFO Dan Terrell will leave the company in June. He has held the position since October 2006. The company appointed Gregory Whirley Jr., formerly of Ernst & Young LLP, as interim CFO. Shares of the Toano, Virginia, company tumbled $5.80 to $27.26 early Wednesday shortly before the market opening, close to a three-year low. Its stock has slumped 50 percent since the beginning of the year.